The Green Archers are champions once again. 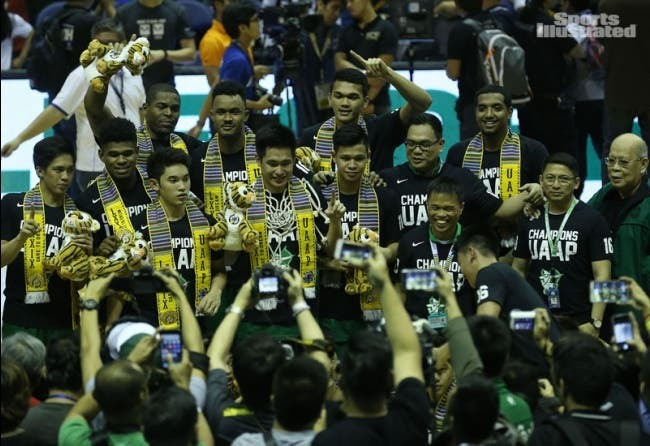 La Salle defeated Ateneo in Game 2, 79-72, to claim the UAAP Season 79 men’s basketball crown on Wednesday at the SMART-Araneta Coliseum. Jeron Teng, who scored a game-high 28 points to pace the Archers, won the Finals MVP award — the second of his career. Ben Mbala ended his first year in the UAAP with a double-double of 18 points and 10 rebounds. La Salle coach Aldin Ayo won his second consecutive championship in the collegiate ranks after leading Letran to a title in the NCAA last year.